Many auto dealers use call tracking and recording services to measure advertising response, capture caller information, and monitor sales performance. While call tracking technology provides useful business intelligence, in most dealerships such data is rarely analyzed and severely underutilized. Dealers simply do not receive return on their investment in such data because they fail to consistently review call reports and recordings, nor do they fully leverage the information they’re paying to collect. If carefully interpreted, this intelligence will reveal ways for dealers to adjust their sales and marketing processes in order to attract more customers, set more appointments, and sell more vehicles. If you are currently tracking and recording calls, do you regularly review your call data? After reviewing call data you have collected over the past few months/years, what specific changes have you made to your sales process, staffing, or operations? How frequently do you analyze your call reports and validate the return on investment of your advertising campaigns? How many advertising dollars have you saved or redirected to more effective sources? How much has your call traffic increased as a result of adjusting your media buys? How consistently do you listen to recorded calls? Do you review calls with your salespeople to reinforce coaching and training? As a result, do your salespeople improve their skills in setting appointments and converting callers to buyers? Do you analyze your call volume and activity reports and adjust your staffing to reduce busy or unanswered calls? Have you considered a professionally managed call center to handle overflow and after-hours call traffic? Do your salespeople promptly return missed calls? Do you review recordings for mishandled leads for save a deal opportunities? How much additional revenue does this generate for your dealership every month? These opportunities may seem obvious, but most dealerships just don’t have the time or staff to review and interpret call data, listen to inbound calls, and continually train and retrain salespeople. If your dealership could use some support, consider partnering with a consulting organization that offers experienced advisors and trainers to do the work for you—consistently, objectively and economically. Whether you can manage the resources to do it in-house or if you’d rather turn to outside experts, the secret to success lies in turning the wealth of call data you collect every day into actionable intelligence that will bring in more customers and generate more sales each month. 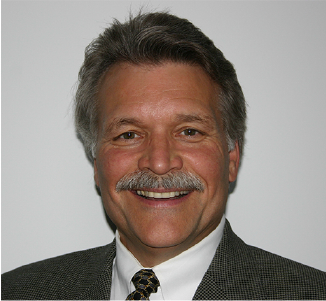 Dr. John Mlinarcik, has been featured fourteen times as a keynote speaker at NADA, RVDA, AAISP, Digital Dealers International Convention and frequent 20 groups. He has coached hundreds of local, state & national companies, organizations and associations.